If you shop at Amazon, please use this link https://smile.amazon.com/ch/03-0561266 AND VansForVets.Org will receive a donation from the AmazonSmiles Foundation Thank You ! 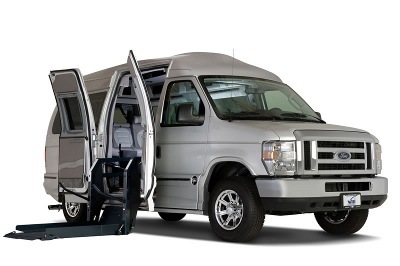 VansForVets.Org was established in 2007 by Dr. Joseph A Resnick as a 501 (c) (3) non profit corporation that provides handicap-equipped vehicles, mobile homes and certain classes of water craft along with mental health and outreach services to honorably discharged, Disabled American Veterans, homeless veterans and family members, free of charge. Executive Director, Dr. Joe Resnick, presents keys to vehicle to client at the Shackley-286 Center in Cowansville, PA.
Sgt. Adam Burke... One of our many Heroe's! Thanks for your service, Adam! Dr. Joe Resnick with employee of Viet Nam Vets.Org. Please donate your unwanted household items to 1-800-775-VETS ! Contact us to apply for a *Free Vehicle! Qualification depends upon disability status (Applicant must have some level of disability <100% Service Related Disability not required>) verified by submission of Form DD-214. Applicant (or family member acting on behalf of Applicant) may be discharged or on active duty status. There are no income qualification guidelines thus qualification is made easy. Spouses or family members who assist the disabled person may also apply on behalf of the Applicant. Our Mission is to help the US Veteran and their Families. If you can meet these broad qualification standards VFV.Org will work to help serve the Vet's needs. 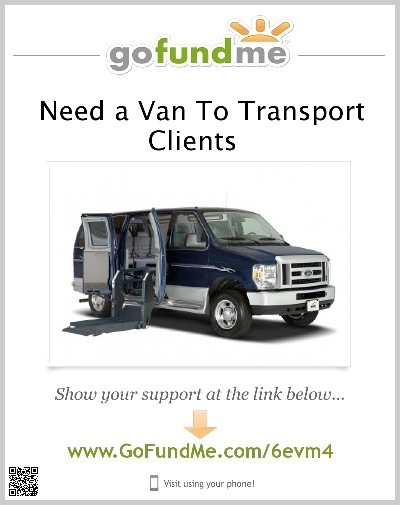 Just fill out this Quick Response Form....and email Vansforvetsorg@aol.com. Please include a copy of your Government ID Card and Social Security Card which may be mailed, faxed or electronically transmitted to VansForVets. VFV's mailing address is 206 Freedom Lane Natrona Heights, PA 15065 or 1016 NC Highway 268 Lenoir, NC 28645. Phone/Fax Number is 828-572-7705. Our 24-hour Toll-Free Emergency Contact Telephone Number is : 828-572-7705. Our Email Address is: VansForVetsOrg@aol.com or Helpdesk@VansForVets.Org . *Applicants are required to expense registration, title transfer and insurance fees as required in the Applicant's respective state, jurisdiction or U.S. Territory and are required to assist in acquiring vehicle from location of donation (where feasible). VansForVets.Org has been notified by Google.Com's AdWords Grant Program Administrator that VansForVets.Org has qualified to participate in Google's Free AdWords Grant Program. Under this program VansForVets.Org will be able to expand its web presence by having its Logo and Web Site appear in Google AdWords Advertising when inquires are made and particular ad words listed in VansForVets.Org's web site are identified. The value of the grant is in excess of $100,000 Dollars or a maximum of $329.00 Dollars per day in free ads posted worldwide through Google's Search Engine. Thank you, Google.com for the ability to participate in this program. 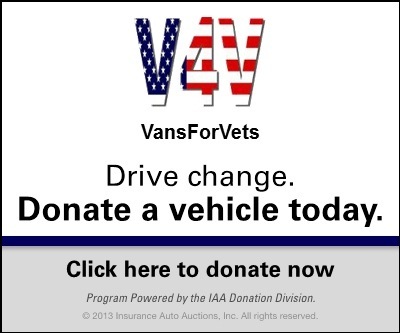 You can help VansForVets.Org raise additional funds in order to purchase more vehicles for our Applicants' by visiting the above web sites. If you make a purchase a small percentage of your purchase is paid to VansForVets.Org from the price of the merchandise. VansForVets.Org has registered to participate with www.GoodSearch.Com and www.GoodShop.Com in a unique fundraising program. When you visit either of the above web portals to search or shop online VansForVets.Org will be compensated just for your visiting either of these sites. A new donation 'Badge' has been created enabling VansForVets.Org to participate in this outstanding project. To visit VansForVets.Org's Badge click on the following link at http://www.networkforgood.org/pca/Badge.aspx?BadgeId=114525 . This programs enables donors to purchase gift cards which can be given away to Applicants. VansForVets.Org is please to have the opportunity to participate in this program. VansForVets.Org has been selected to receive the prestigious Patriotic Website Award! Editors at www.vahomeloans.net have selected VansForVets.Org's website as one of the top patriotic websites on the web. Thus, VansForVets.Org has been honored with this award. VAHomeloans.Net stated that it especially liked the great work that VFV is doing to help support our veterans! VaHomeloans.Net sent 'Congrats' and most importantly, thanked VFV for honoring our country and its veterans! If you need help with refinancing for your home or want to buy one, please consider contacting www.vahomeloans.net !